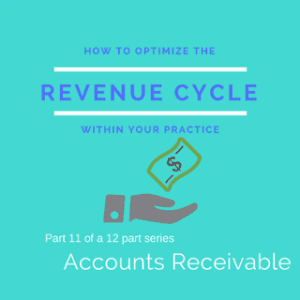 Many practices find problems with their accounts receivable (AR) at one time or another. The key to optimizing this part of your revenue cycle is to keep a pulse on the health of your AR through consistent monitoring. Days in AR by payer as well as the age of a clinic’s AR will tell much about the health of a clinic’s revenue cycle.